Real-time Network and Monitoring Manager and Pacific Islands Geospatial Manager in AllTerra New Zealand, Warren Eade, is in Samoa to showcase the new technology that they have in the market and how it can benefit our country. Mr. Eade was one of the presenters at the Youth Co:Lab conference at the T.A.T.T.E. Building last week. The New Zealand Company is in partnership with the Samoa Stationery and Books (S.S.A.B.) and it was through S.S.A.B. that they were able to participate in the conference. 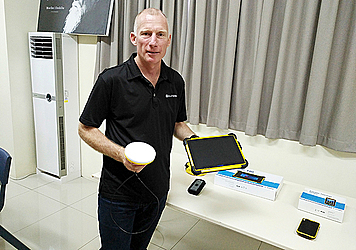 Speaking to the Samoa Observer, Mr. Eade said his role is within the Trimble Product portfolio. “While the conference evolved around the digital Pacific, my role is actually within the Trimble Product portfolio, which is actually bringing digital and spatial together,” he said. “Spatial simply means location so all of our lives we do activities, we own properties, we have friends and families that are scattered around the place and all of that is actually location. “And we try to look at the fact that in countries where there’s no addressing system, I can’t say go to number 12 of such and such street, we will need to do a bit of activity and ask what is that location and how do I communicate this to people that have never been there. “This is where the ‘Trimble Product’ comes in. It provides spatial information and it has a coordinate, this is a coordinate where we don’t need an address because it has a fixed position. Moreover, he said it is a useful product to government organizations in locating their assets. “Take organisations like Water Authority and Electric Power Corporation, they have millions and millions of dollars, assets with all those power poles and powerline and water meters and pipes, they need to know where they are,” he said. “They need to maintain them and replace them when things go wrong, and again if they don’t have good records of where their assets are, they could spend a lot of money relocating them or they will even have to dig up a road to find them or dig up a foot path or they will even have to dig up someone else’s property in trying to find them, but find out that what they are looking for is actually on the other side of the road. “So Trimble will be helping these people get smart about how they can start locating their assets so that they can maintain them and can reduce the amount of cost they spend on obviously the maintenance of finding them or repaired price. “It also enables government to locate assets of new road, bridge, hospital or a school these are government assets but they still operate and locate construction of roads which are highly important. 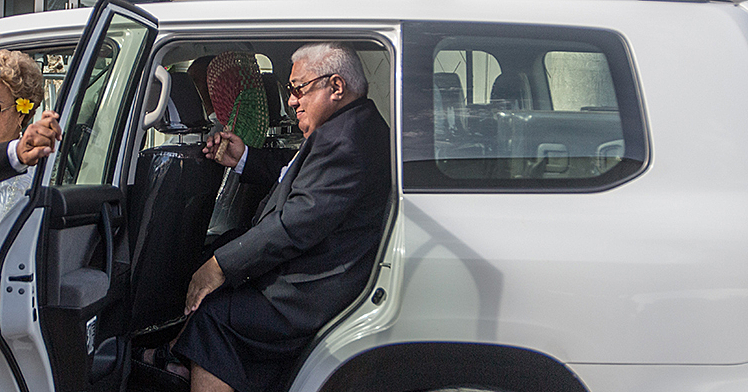 Asked if a country such as Samoa can benefit from this new technology Mr. Eade, said yes. “Every country is going to benefit, it’s just more of a speed in which they can adopt,” he said. 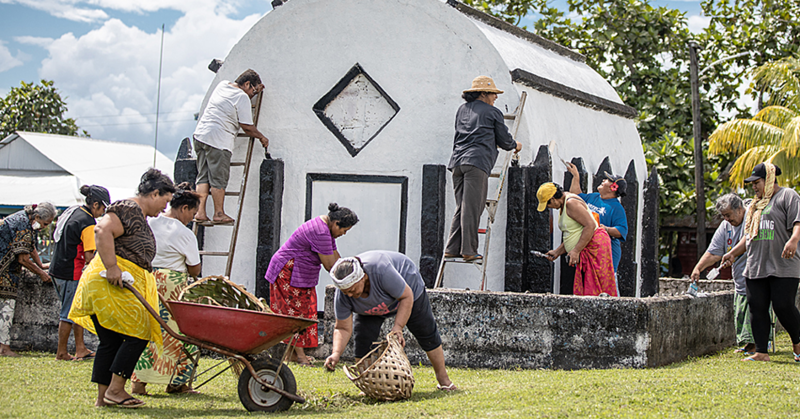 “I’ve been travelling the Pacific region for over 10 years, so I’ve experienced change at a time and one of the big things that’s highlighted in Samoa now is the fact that you’ve got the second major fiber cable coming into the country. 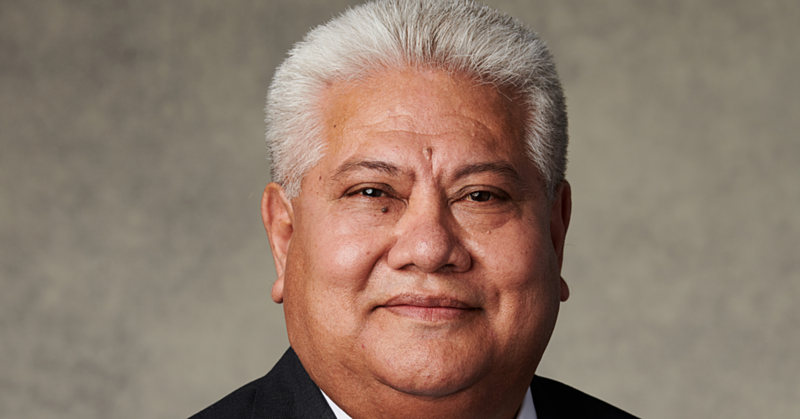 “This means Samoa is going to have 800 percent increase in speeded capacity on their telecommunications. “That actually opens up a whole new world because before everything had to be posted locally we had to do our own data, we had to get our own desktops and every organization needed to run their own I.T. infrastructure, which came at a phenomenal cost. “However, making this connectivity now more affordable and a lot more capacity it actually starts to open up, but best of all it’s moving towards which that whole cloud space is, so literally think of it like a buffet meal. “You only end up paying on what you use, you don’t have to pay for this huge capacity because one day you might need it but now I can simply go to a cloud and say I need this much today, but tomorrow I will get this much so it becomes very simple. “So Samoa is at a cutting edge point because other countries around the world and bear in mind I do come from New Zealand we get caught up in some of our own technology that’s very hard to move away from. “We have a lot of destructions that’s been in the ground for so many years, which in many ways prevented us to make a giant leap forward and it wasn’t until the Government implemented broadband rolled out everywhere that enabled us to take that giant step forward. “Countries like Samoa, Fiji, Tonga and so forth haven’t had the same impact and therefore you can actually make a quantum jump much easier so you can jump into 4G straight away and you will probably be the first country to even get 5G. “So being small and remote is not always a bad thing because you don’t get some of that old legacy issues that some other countries get.